12/22/2018 – Playing blitz is a lot of fun. But is it useful? This is the question on the minds of many chess players, parents and trainers. The answer is a resounding "Yes!" 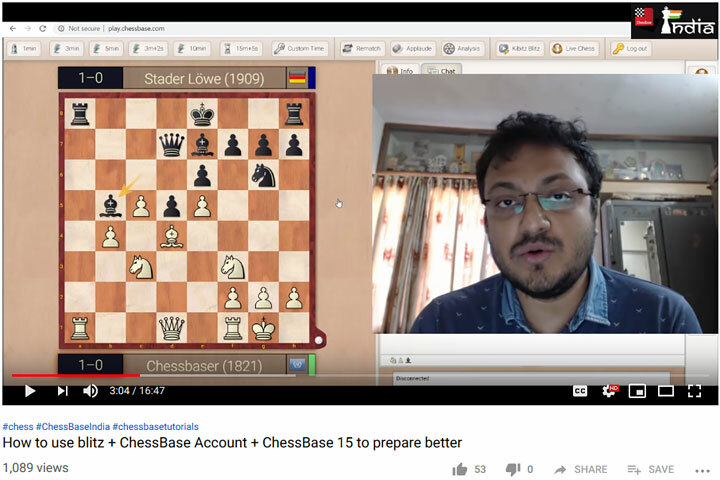 We have a great instructional video by IM and chess trainer Sagar Shah, who shows how you can make the best use of your blitz games using the normal ChessBase tools. It's a 16-minute tutorial that you shouldn't miss. Follow his instructions and watch the rating points pour in. 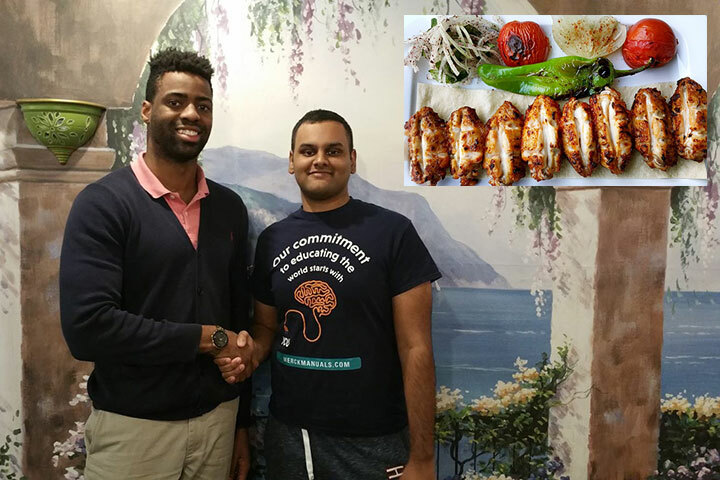 'King of the Kebab' Match! 12/2/2018 – Can a master level blitz match be more exciting than an elite level match? Are amateurs or semi-pros able to showcase their creativity, imagination, dazzling combination and sacrifices as well as the big guns? Is over-the-board (OTB) chess more exciting than online chess and streaming? The answer two all these questions a resounding, yes, argues DAVIDE NASTASIO, who presents many positions from a recent match — Meruga vs Mbonu (pictured) — that he finds useful for training. Blitz rules like touching a piece or losing because of an illegal move don't exist in online chess. 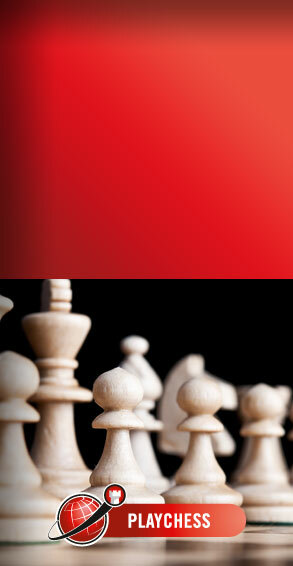 In OTB chess this makes the difference between life or death! So don't miss the chance to add some tactical ideas or endgame learning to your arsenal! 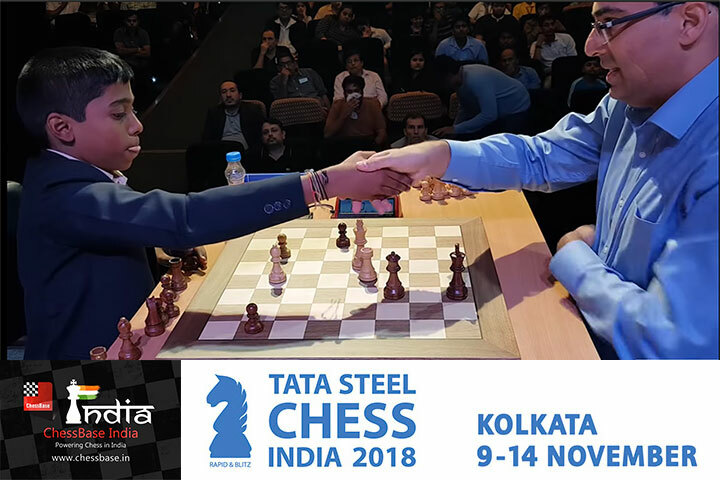 11/26/2018 – Did you catch the world-class blitz at the Tata Steel tournament in India? For the vast majority the venue, like with so many other events, was just too far away. Thankfully Sagar Shah, who set up ChessBase India, was there and filmed the most interesting games from the best possible angle. You can watch the action at close range, see the players think and react to the opponent's moves, and even analyse on the replay board with engine support. It's highly enjoyable — just ask 1.3 million viewers on YouTube you have watched Praggnanandhaa vs Anand! What if the World Championship match is decided in blitz games? 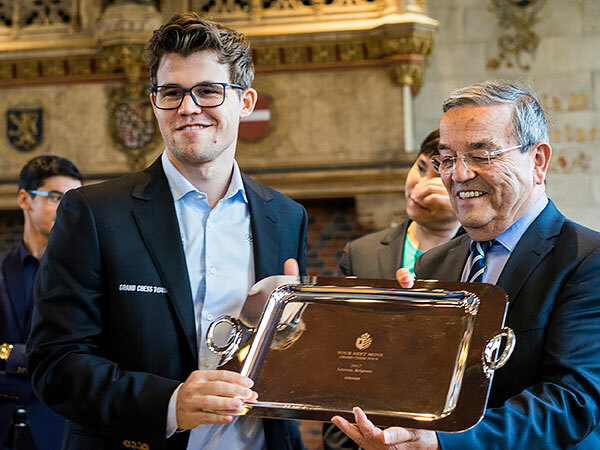 11/21/2018 – Two years ago, in New York, Magnus Carlsen defended his title by winning the rapid tiebreaker. Traditionalists will shudder at the thought of blitz games deciding the world championship match in London. GM MAXIM DLUGY looks at the players’ chances if that scenario becomes reality and has suggestions for how Fabiano Caruana, despite a whopping rating gap of 172(!) points, might beat the odds. 10/8/2018 – Blitz is often bad-mouthed and thought as damaging a player's development. The historical evidence shows the contrary. 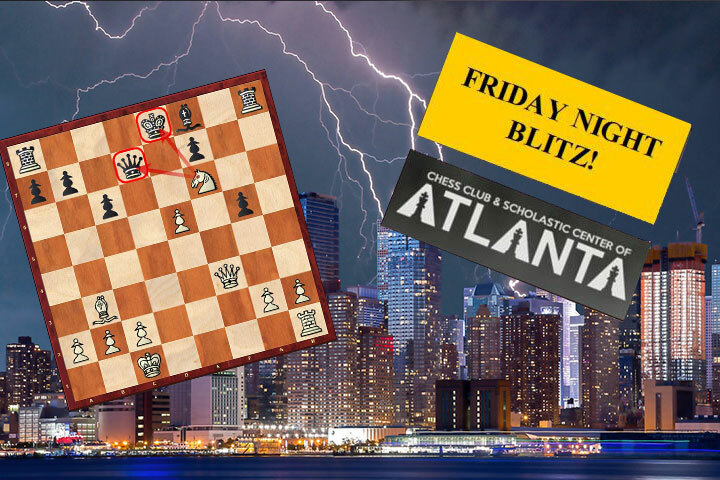 Most legendary names like Fischer, Bronstein, Tal, were all avid blitz players. The benefit of blitz is easy to understand: within the short span of time of a blitz game, one can see the defects in thought-process, opening repertoire and of course, missing endgame knowledge. 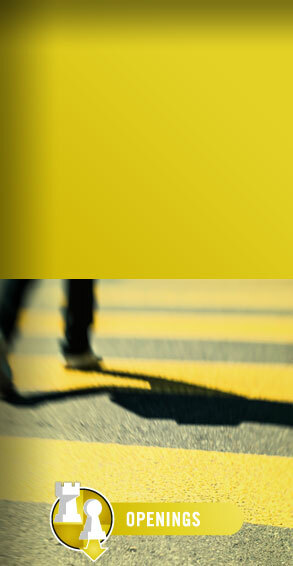 Especially at the amateur level, blitz can be a fundamental tool to improve one's own chess. A blitz tournament at the chess club is also a chance for that human interaction, which unfortunately was taken away being modern chess played mainly online. Chess is definitely more pleasant, and exciting when played face to face over the board, and of course more painful! 7/26/2018 – Summer time is holiday time. But not all chess players use their holidays to play in a summer open. 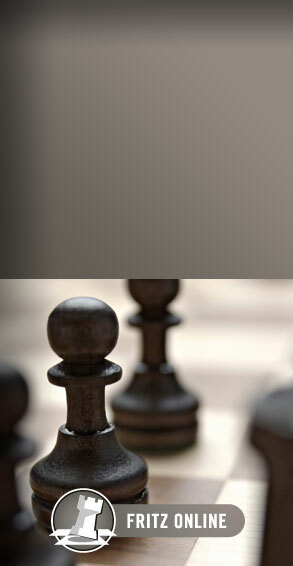 If you pursue other interests but still want to keep in shape you might want to turn to the playchess.com WebApp. 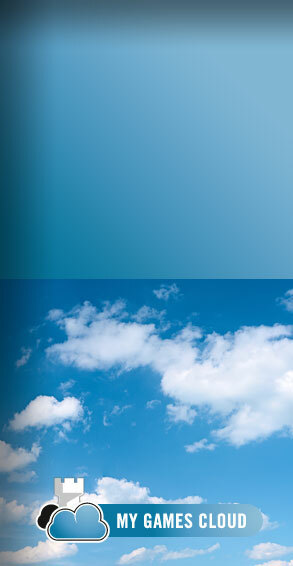 It offers a good way to play on your iPhone, smartphone, tablet or IPad, etc. 4/1/2018 – How would you react if your opponent just moved all their pawns to the third rank of the board in the opening and still managed to hold ground? Wesley Falcao, a National Master living in New York, did exactly this in some of his blitz games. The result: this seemingly drunken manner of opening the game actually caught some strong players off guard, provoked errors and produced some really entertaining games. 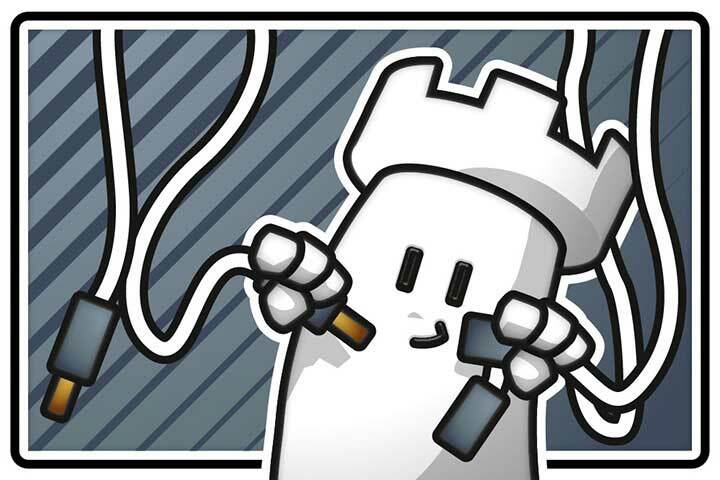 In this article, Wesley Falcao shares some of his games (a whopping 17 of them!) 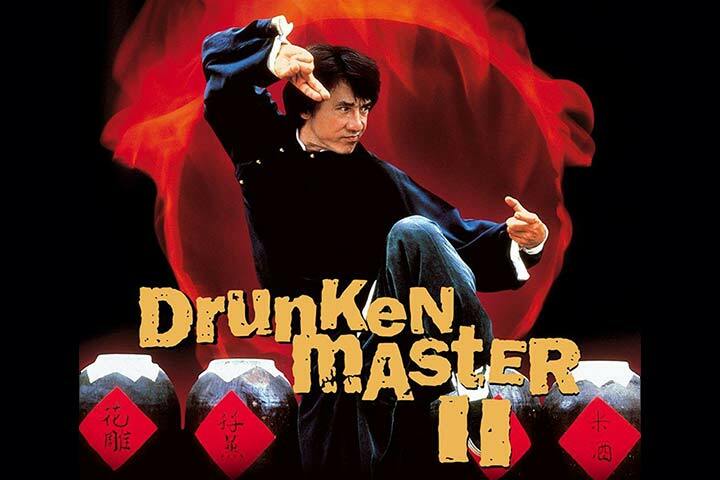 and discusses some key ideas behind his opening, urging readers to kick back and have a drink with the Drunken Master! 3/14/2018 – 75 years ago last Friday, on March 9, 1943, Robert James Fischer was born. His chess was clear, logical and powerful, but his behaviour off the board was erratic and irrational and later in his life he was mentally ill. A lot has been written about Fischer but he still remains a mystery. 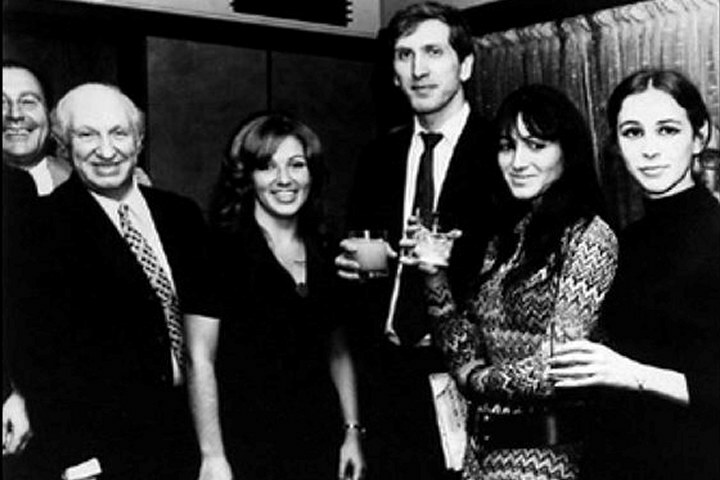 Vlastimil Hort knew the American chess genius personally and shares memories of Bobby. 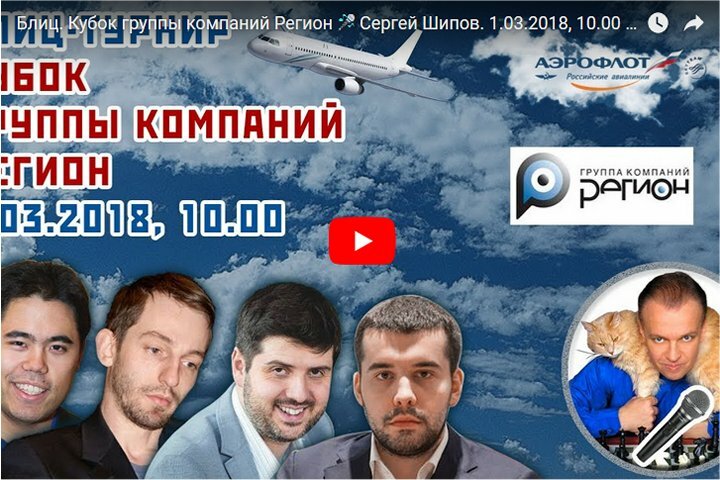 3/1/2018 – After the Aeroflot Open there is more high class chess in Moscow: a strong blitz tournament with top players such as Karjakin, Nakamura, Artemiev, Andreikin, Nepomniachtchi, Mamedayrov, and many others. Though the organisers do not offer a live-transmission of the games, they offer a live-video of the tournament. 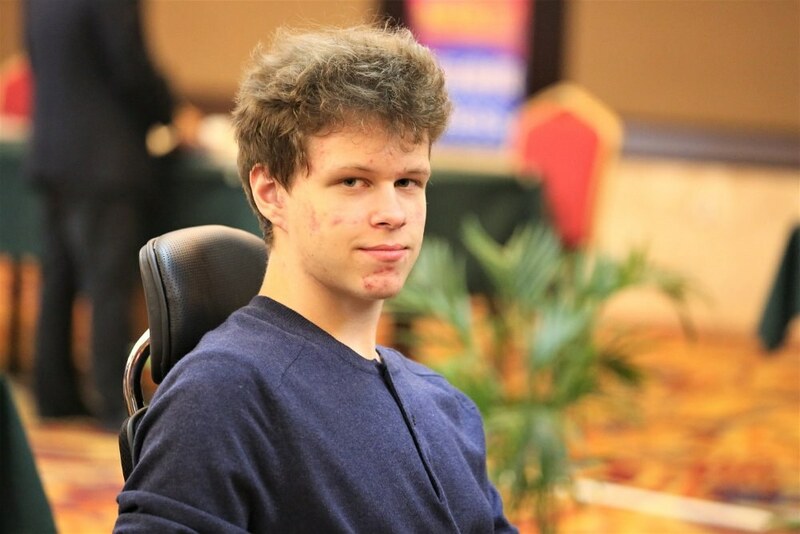 1/30/2018 – Recently a World Championship blitz game between Magnus Carlsen and Ernesto Inarkiev ended in bizarre fashion: Inarkiev stopped the clock because his opponent had "made an illegal move" — and was awarded the point. But then it was ascertained that it was he who had moved illegally on the previous move, and the point was given to Carlsen. We reported extensively on the incident. Now International Arbiter Alex Holowczak weighs in, taking a closer look at the recently released revised rules of the game. 1/18/2018 – Tryfon Gavriel — a.k.a. 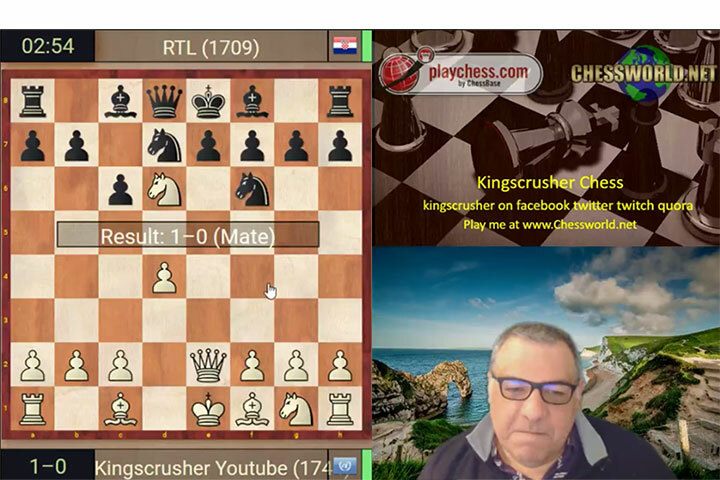 Kingscrusher — continues his weekly banter blitz series playing on blitz.chessbase.com. He provides live commentary of his own games while playing against ChessBase Account members in his live stream on YouTube, Wednesdays at 20:00 CET (2 pm EST). 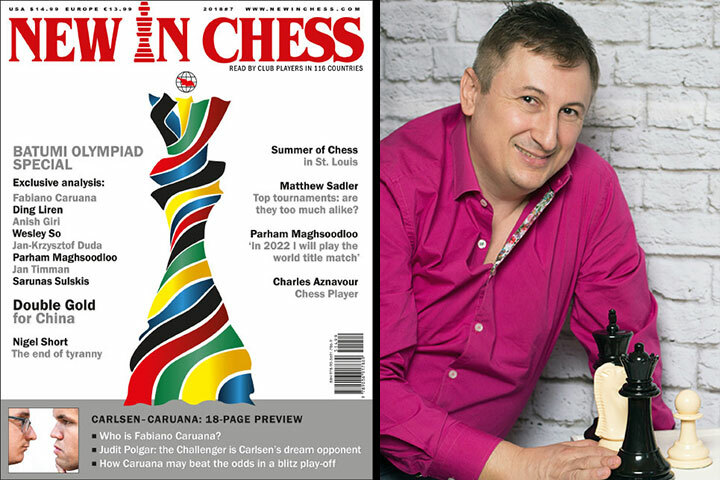 Would you like to have your own banter blitz games featured on ChessBase, and earn free ChessBase software? 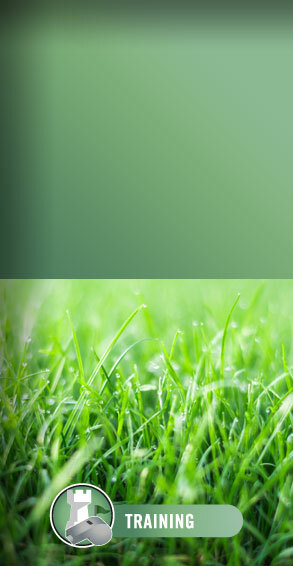 Get in touch via our Feedback page! 1/11/2018 – Tryfon Gavriel — a.k.a. 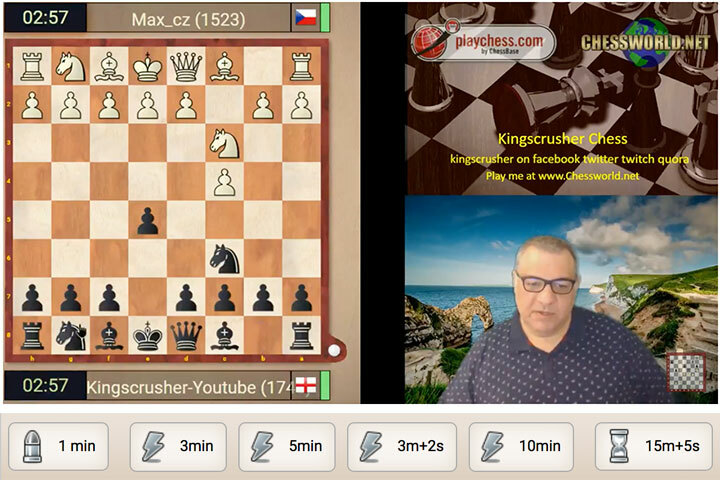 Kingscrusher — will start a weekly banter series on blitz.chessbase.com. He will commentate while playing against ChessBase Account members in his live stream on YouTube, Wednesdays at 20:00 CET (2 pm EST). "I will try and give you greater enthusiasm for the game and in particular the dynamic aggressive aspects of playing chess", writes Kingscrusher. 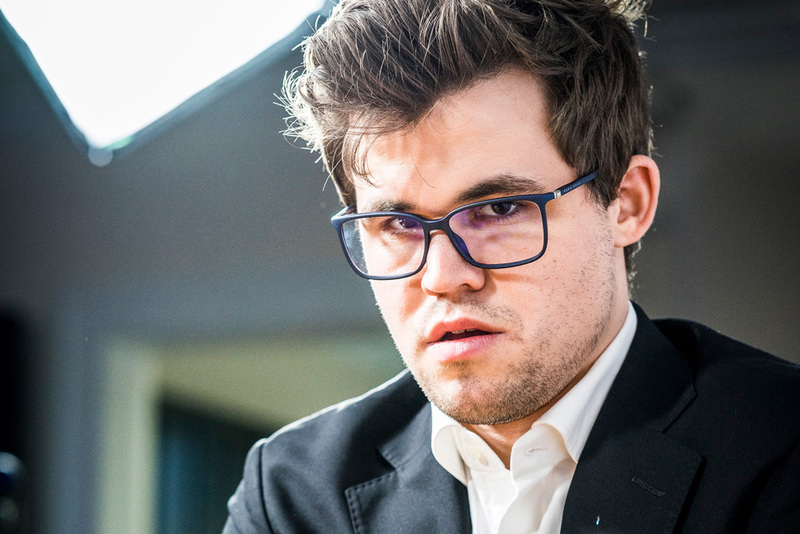 "If you want to be a dynamic aggressive player, I may be able to encourage you..."
7/3/2017 – It was all Magnus Carlsen in the last two days as he overcame a three-point deficit, trailing Wesley So, who had performed superbly in the rapid games, to win the Grand Chess Tour tournament in Leuven with a full three-point lead. His blitz performance of 3018 Elo over 18 games says it all. Wesley So came in second, while Maxime Vachier-Lagrave took third. Enjoy this illustrated report with analysis by GM Alex Yermolinsky. 7/2/2017 – With a three point lead over Magnus Carlsen after the rapid games, and two over Maxime Vachier-Lagrave, Wesley So had to have though it would at least carry him over until Sunday. 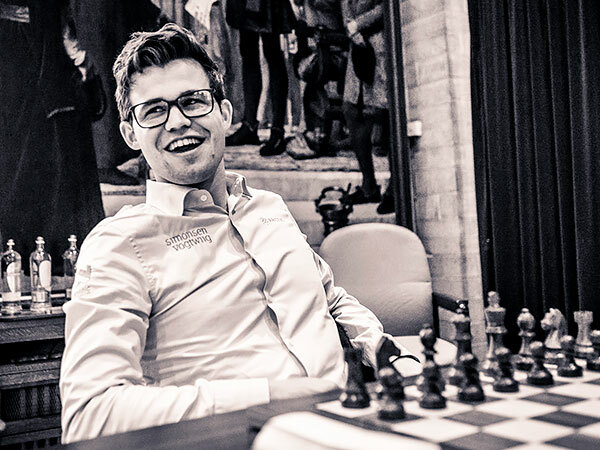 However, he could not have predicted the Magnus Carlsen Show that lasted throughout the day, with the World Champion in scintillating form, finding inspired and many-times clear best moves grandmasters might find challenging even in classical games. Full report by GM Alex Yermolinsky. 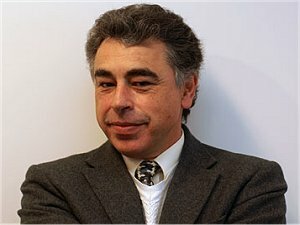 Yasser Seirawan: "A Radical Solution"
11/30/2016 – For many chess fans the short draw in game 12 of the Carlsen vs Karjakin World Championship Match was a shock. 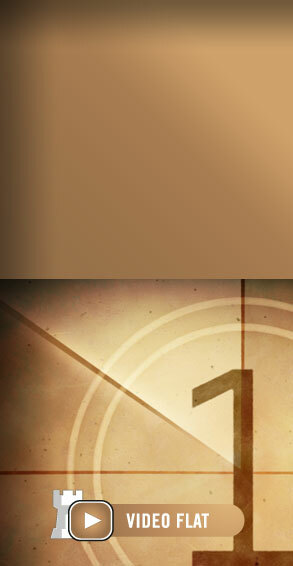 Now, rapid and maybe even blitz games will decide the match that started with 12 games in classical time-control. 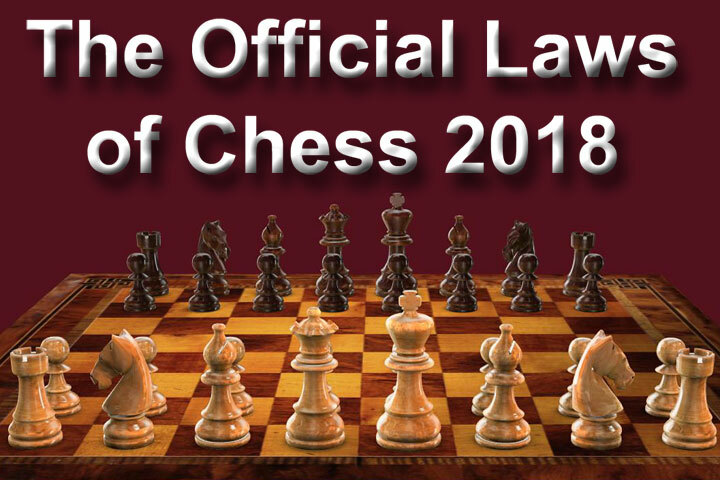 Our author Yasser Seirawan finds this "extremely undesirable" and offers a radical solution. 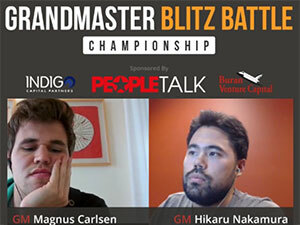 10/28/2016 – World Champion Magnus Carlsen and elite player, as well as renowned blitz specialist Hikaru Nakamura, played a three-hour blitz match online as the final of an online invitational tournament hosted by Chess.com. It was broadcast live at the online service Twitch where the two players could be seen via Skype connections as they played. 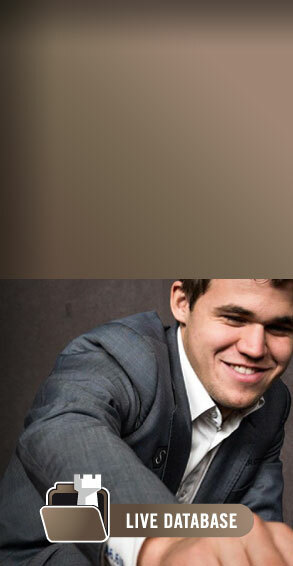 Magnus Carlsen won the encounter 14.5 – 10.5. Report and games.